This is a list of third party packages which have support for the A* Pathfinding Project. It is by no means exhaustive, these are just the ones I have found recently. If you know of a package (maybe your own? ), post it in the forums and I will add it to this list. An AI framework for higher level AI code which supports the A* Pathfinding Project. Create high quality AI in a matter of minutes with the help of visual programming and a library of algorithms that are ready to provide your Agents with almost any type of interaction you might want in your game. Eliot is a set of tools that focus on letting you prototype and build characters (AI) in your games with as little distraction as possible. Focus on what is truly important to achieve the goal faster! What makes Eliot outstanding? The amount of time you need to put into prototyping and/or building AI for your projects and the ability to think about WHAT you want to create and not HOW to create it. How is that achieved? By unique set of features that include built-in Visual Scripting, Skills, Waypoints and a rich system of simulation of a physical body of your Agents. 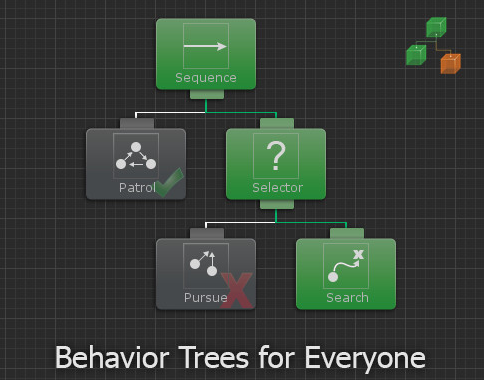 An addon for the Behaviour Designer behaviour tree tool which supports the A* Pathfinding Project. 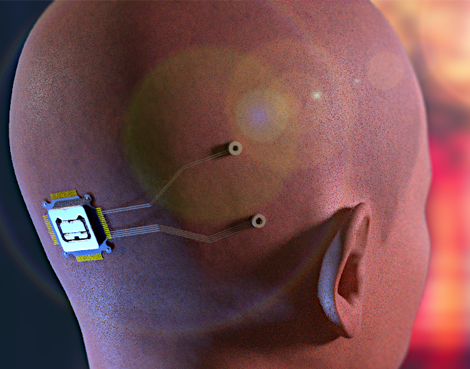 In addition to covering all of the AI steering behaviors, some tasks provide unique functionality such as finding cover or hearing if an object is within range. Three tasks - flock, leader follow, and queue - provide an excellent example of controlling multiple AI agents with just a single behavior tree. Spirit and motion for virtual life-forms. NPC controller for Unity. 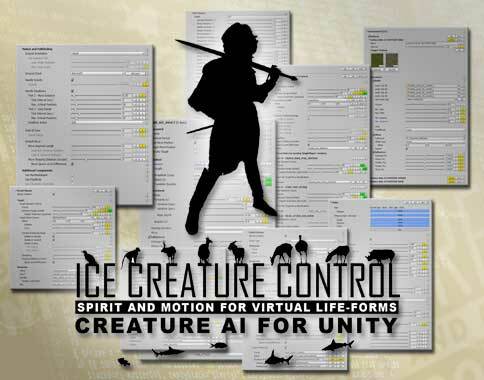 ICECreatureControl is an incredible piece of software to breathe life into your virtual Characters - within minutes and without typing one single line of code!